Historically, the evolutionary story of man is told as the evolution of the physical stand, the upright stand defining the individual. Written in text books, the human race accepts this as truth. The caveman gazed into the pond, and saw only his own reflection. As he stood to return to the cave he thought his reflection was reality. He failed to recognize the truth of the invisible omnipresence of Nature. As he lifted to a stand, his head hung low and shoulders hunched forward propelling his heavy steps as he walked. Nature was all around him, but all he thought about was his own image. His imagination got the best of him. He started writing on the cave walls thinking he was communicating reality, when in fact he was recording the trick Nature played on him. Instead of taking a stand of faith in the invisible power of what he could not see, he chose to record his visual perception as some kind of truth, on the wall of his cave. Later in time, ancient cultures knew better. Not only did they realize the power of the invisible, they decided to live with faith in this power. This invisible force was the power of Nature. As the ancients stood to worship the expansive Nature of all that Is, they resonated with realization that they only existed in relationship to another. Heads lifted to the sky and each spinal axis aligned expanding energy in harmonic melody across the horizon. Monumental grounding in each pelvic arch resonated vertically in the atmospheric breath above they connected with the fabric of the story of Nature. During the ancient times, architecture evolved from the holistic story. This was the story of the unknown, of invisible Nature. Descending from the knowledge of the astral labyrinth of the stars, people drafted blueprints for places, places that conveyed their experience of relating to each other. Communities of people charted architectural plans that gave a sense of connection with untouchable Nature. Architecture grew from culture, instead of imposing civilized engineering into cultural environments. Instrumental labyrinths of pathways and overlapping places connected things greater and smaller than Self, villages for story telling. Resonating monuments brought people together, temples reached for the sun, and sanctuaries nurtured growth. Villages threaded together through communicating paths, each person knowing the other’s name as they crossed ways. The expansive reach of the meaning of architecture made it instrumental in harmonizing humans with the system of Nature. Connecting with Nature connected people to each other. Architecture as instrument was fabricated to heal relationships between humans on earth and humanity with the cosmos, within the shared place between human kind and Nature. Day to day healing, in alignment with the cycles of the solar system, energized life in cycles of rebirth. People became in touch with Singular Nature, the holistic Nature of things. We are born as a time capsule of knowledge for sustainable growth. In a continuum of time and place, our energetic frequencies are always moving, shape shifting in harmony with Nature toward ideal balance. Our senses revolve as we adapt to stimuli in our surroundings. Touch, sound, scent, taste, and sight together in one physiological embodiment work to align energetic movement through our somatic cells. They activate in an adaptive continuum of somatic healing. We move through the fabric of energetic frequencies in the environment, as our body’s energy centers spiral in calibration. Our sensory experience exists in relation to the existence of another. Even as we escape to Nature, claiming to be alone, we move through its pathways with the knowledge that we will eventually be next to another. The singular octave is our monumental stand as resonating holistic beings. Instead of standing as a monument to our individual Selves, we take a stand within earth in faith of the resonating connection with another. The singular octave is a translation experience, to Soul. We ground with Nature and in doing so we connect through its expanding branching radix with another. Grounding in our pelvic arch, we lift from touch to sounding vibration in our pelvic butterfly. In this lift, we begin to stimulate our sense of Soul. Faith as our foundation, we elevate. In the geometric patterns of flower petals, our translations between chakras lift us through our axis. We ground and resound with ascension from our monumental arch up through the top of our crown chakra. In the lift of tonic octave C, the singular octave, our frequencies translate chromatically up our chord. The radix of roots through the earth surface guides our instinct to physically connect, while our ascension to consciousness stimulates the desire for perceptual spiritual resonance with one another. We begin as a tuning monument, balancing with desire to transcend to Soul. Stand as our own personal monument, we resonate with tuning frequencies. Our bodies harmonize like a tuning fork as we translate through our energy centers. The left and right sides of our bodies balance, as body and mind physiologically vibrates as together. The energetic butterflies within us cross connect, as our spinal chord fluctuates in sine curves. The coiling energy of our circulatory breath of blood cross connects through our heart in a figuring eight through our bodies, flowing and reconciling into scalar waves of healing. We tune ourselves as a Singular monumental experience, as we attune with our environment. Our bony pelvic arch resonates in the flexible keystone aligned with our center, as we ground our feet in the natural telluric surface of feel the earth’s vibrations. Our pelvic butterfly balances and lifts as we resound vertically. Our energetic architecture levitates in healing energy fields, feet touching the ground and lifting. We really only exists in relationship to other. No one lives in a vacuum. We resound in a relationship with earth, and through is radix of energetic roots we find connection with others. We connect with the ground plain of earth, reach for the sky, and sense the existence of another standing within earth. Our human monument resonates in this knowledge, a connection with our Soul, as we lift from fine tuned monument into a temple of spirit. As the physiological matrix of energy expands in the sensory perception between two, the sensory experience amplifies in the vertical translations between chakras. Resonance is stimulated in the translation between the pelvic arch, our root chakra of touch lifting to the pelvic butterfly. 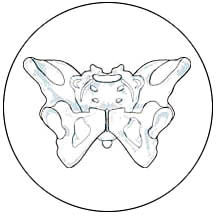 Resonating receiving sound resides in this pelvic butterfly. Resonance shapes amplified potential energy for healing, in male and female vertebrates. As resonant fabric fluxes between giving and receiving between two, sustained in coupling oscillation between their energy centers spiraling gives rise to new healthy cellular fields. Anabolic responses help new cells grow. A relationship between two becomes three, as a child is conceived. Sensory perception amplifies with addition of scent resonating in the solar plexus, as the fabric matrix of our tissue calibrates to harmonize with our surroundings. Touch, sound, and scent lift through the energy fields of the lower body. Translating from the pelvic arch, to pelvic butterfly, to solar plexus the senses compose together physiologically amplifying sensory experience. Within the resonance of the chakras, senses are tuned as the cellular fields of tissue calibrate. We ground with the natural telluric current of the earth, and elevate with natural energetic currency. Rhythm in time, people walk through the communing pathways. Their movement across place in time stitches the energetic experience together. They ground in step, and lift through the pelvic butterfly, to the solar plexus, up through the heart chakra. In rhythmic cycles, they walk side by side. They lift through the tissue of the solar plexus, up to the heart. Breathing inhale and exhale, oxygen circulates through the communal heart beat. They circulate through the pathways as the energetic frequencies circulate through their bodies. The atmospheric breath weaves the archetype experiences together, composing the labyrinth. In this atmospheric resonance, people relate physically and perceptually in a moving physiological composition. The circulating breath simulates rebirth, across measures of time. The phases of the birth experience happen rhythmically. Balance, incubation, generation, interactivity phases move across waves of multidimensional frequencies. From the archetypal experiences of monument, temple, sanctuary, to the commune the people give birth to an energetically sustainable environment. The holistic is a rediscovery of potential energy, within the somatic connection between the Self and expanded energetic matrix of nature’s system. Our body’s composition calibrates with each circulating breath. Energetic translations happen across our cellular plasma membranes, balancing entropy and diffusing disorder as unhealthy cells oxidize and new ones take shape. This healing happens through the birth experience, the continuum of rebirth within the labyrinth of the human body. As our cells communicate with each other within the fluid matrix, they balance potential and kinetic energy. Finding a resonating place in the space in the place within the composed cellular body minds, energy is harvested for healing. Shaping place in the space between, lifts our energetic resonance even at the scale of atomic nuclei as each molecule calibrates through the plasma windows of our cellular membranes giving us balance. This is the monumental experience. The evolutionary echo of the holistic nature of all that Is, is the sonic resonance of this birth experience as we simultaneously become one with the nucleic composition of our Self and the expanding helical composition of the verses in harmonic sine curves, the coupling oscillation of the Sineverses as we lift to the light heart temple and resonate with the frequencies of Nature. The energetic code imprinted in the fabric of the butterfly and the principles of the human birth experience embodied in the new born engage the collective equanimity of sustainable growth. Holistic monifolds make harmony, by shaping sustainable growth. The equations for sustainable growth are calibrated with adaptive principles. Cycles, windows, and fields sustain harmonic balance throughout growth processes in Nature. The cycling energy of the seven chakras, spiraling in symbiotic fields with another, shift through windows in time. Within the topography of somatic cellular fields of the human body, molecules cycle around each atomic nuclei shifting through windows in cellular plasma membranes calibrating entropy in a healing way. Within each molecular composition, lattices of energetic fabric calibrate the relationships between the atoms within our interior surroundings. Each atom resonates with its own energetic cycle microscopically, toward and away from other atoms through windows, within the circulating energy states around nuclei. All the while they calibrate adaptively to help the body sustain a healing physiology in alignment with the system of Nature.